Buyers are camping out a week before land goes on sale to secure blocks in a new release at Villawood Properties’ Marriott Waters community in Lyndhurst, in Melbourne’s south-east growth corridor. The strong demand demonstrates the popularity and reputation of the award-winning Marriott Waters community as well as underlining the continued strength of the new residential market. New land sales at Marriott Waters will commence on Saturday April 16, but such is the demand prospective purchasers are already camping out to secure one of the 170 lots at the land sales office a week before being able to make a purchase. A number of existing Marriott Waters residents are among those camping to secure land in the new release,“The fact that a number of those camping out are already Marriott Waters residents is a clear demonstration of the success of the Marriott Waters community as an example of an innovative residential community development providing value to residents, “ said Villawood Properties CEO Paul Banks. “These residents bought in at the first phase of Marriott Waters and have seen the benefit firsthand – not just in the outstanding amenity on offer but also through very strong capital growth. They now want to take advantage of this by building a new home but remaining in a community which they know and love. Such opportunities don’t come up too often. 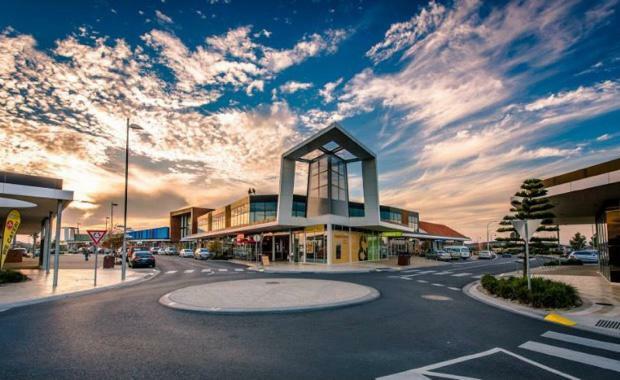 Some of the features of Marriott Waters include a residents’ club with fully equipped gymnasium, swimming pool and function room; picturesque wetlands; a shopping centre (pictured); primary school; and high quality sporting facilities.